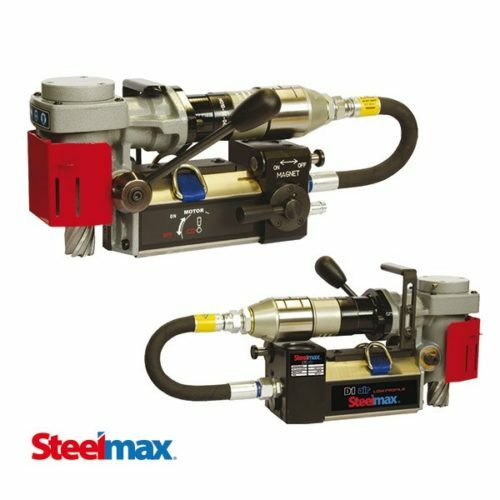 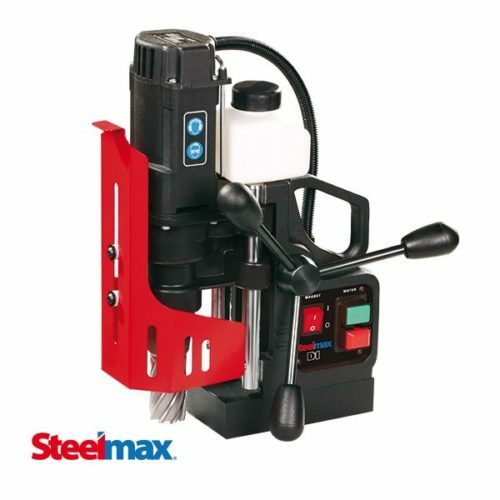 The D2X magnetic drilling machine from Steelmax is a powerful drilling machine for every-day industrial use. 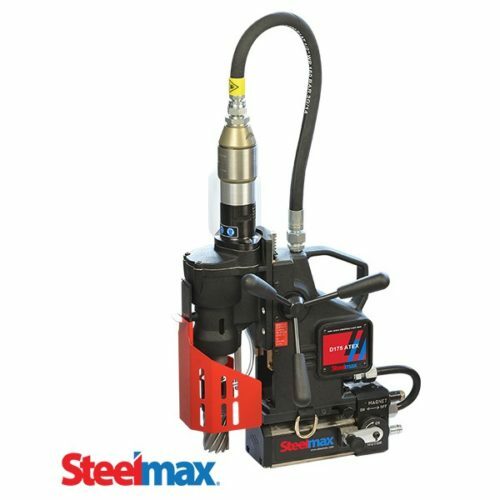 With its high-torque, 1260 watt electric motor, the D2X is capable of drilling 2″ (51 mm) diameter holes in material up to 3″ (76 mm) thick. 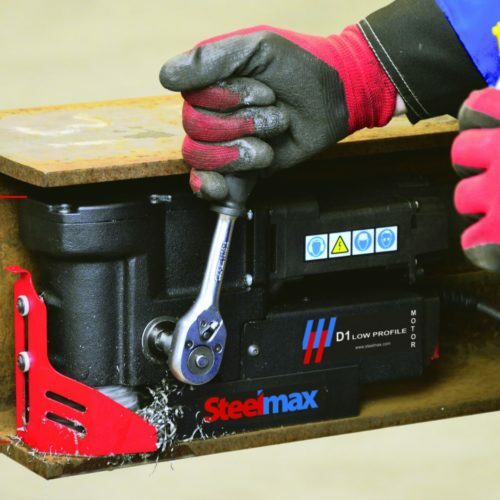 The D2X features a revolutionary – and service-friendly – design with a unique, semi-automatic, self-adjusting gib system that requires minimal maintenance over the drill’s life and produces accurate hole cutting. 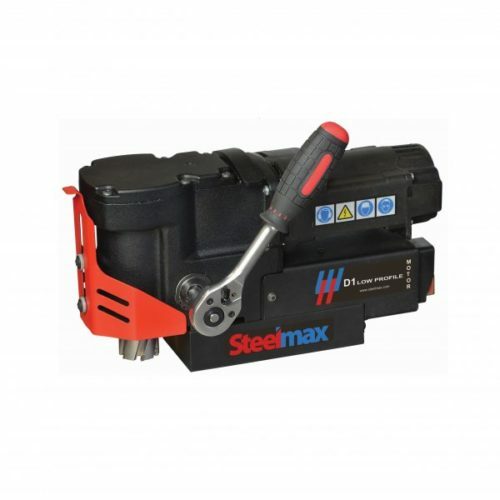 A proprietary replaceable spline on the end of the armature shaft further reduces maintenance and repair costs. 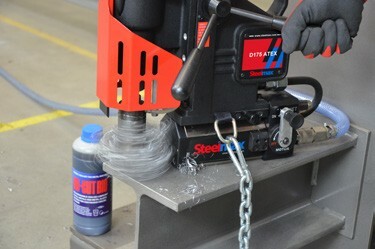 The D2X accepts arbors and drill chucks with Morse Taper No. 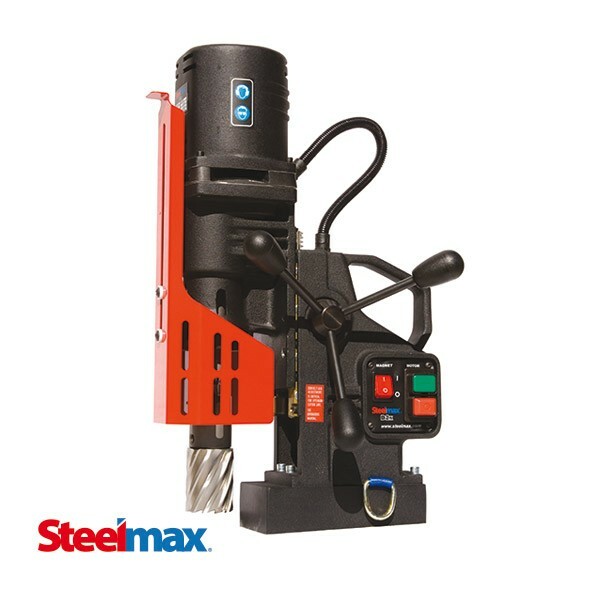 2 shafts and easily switches between drilling with annular cutters and solid twist drill bits for maximum flexibility.